Ola’s just taken a big step towards diversifying its mobility portfolio. Ola today announced that it had invested $100 million (Rs. 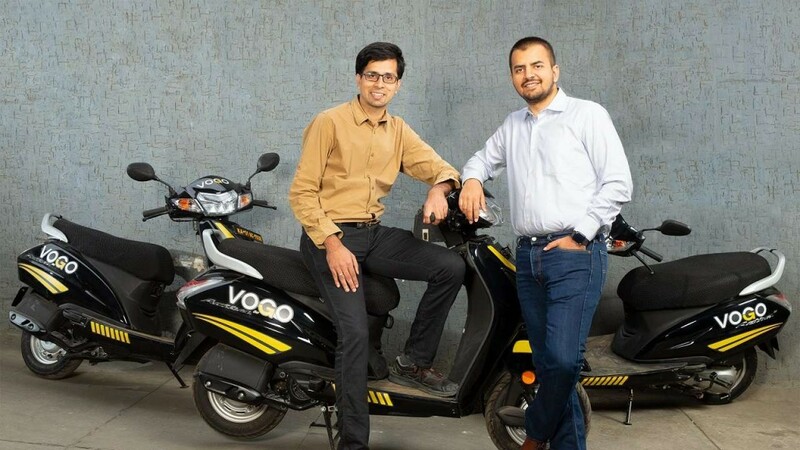 700 crore) into Bangalore-based scooter rental startup Vogo. Vogo is currently live in Bangalore and Hyderabad, and lets users rent scooters starting at Rs. 1.2 a kilometer. Vogo had been founded in 2016, and has raised $8 million to date. “Our investment in Vogo will help build a smart multi-modal network for first-last mile connectivity in the country,” Ola CEO Bhavish Aggarwal said in a statement. “Vogo’s automated scooter-sharing platform, backed by Ola’s expertise in this space can help transform our cities. Together, we are thrilled to be at the forefront of India’s rapidly growing micro-mobility market,” he added. Users will soon be able to rent a Vogo scooter through the Ola app. Ola runs its own bike taxis, but Vogo targets a different market — it lets users rent scooters, and then they can drive them around by themselves. Vogo says it offers both one way and round trip options, and scooters can be dropped at one of its many Vogo points. The company uses IoT technology to make sure that scooters can be rented straight from its app without any manual intervention, and the scooters have something called a Vogo box that tracks their movements and helps in managing the fleet. “Vogo has seen rapid growth in the last five months, growing over 10x in scale. We are thrilled to have Ola join us on this journey and help turbocharge our growth by providing us access to strategic and capital efficient supply as well as access to millions of customers on its platform in the time to come. Ola’s deep understanding of mobility and their investment to power additional supply are extremely valuable to Vogo. As we enter into our next phase of growth, we look forward to executing our synergistic vision of the future: smart and sustainable mobility for all,” said Anand Ayyadurai, founder and CEO of Vogo. The Vogo investment is an interesting gambit from Ola — India’s scooter hailing market is still in its nascent stages, and Ola’s already taken a $100 million punt in the space. It’s still unclear how big the market will be — scooters are cheaper than cars, and many people might just prefer to buy their own as opposed to renting them. Also, Vogo will have a limited number of pick up and drop points, which could mean that Vogo wouldn’t really provide end-to-end connectivity to its users. But Ola’s clearly taken the lead over Uber in this market, and if the market does end up contributing significantly to India’s mobility space, Ola could end up having a fast start over its American rival.